We have been hearing rumors about possible Spyro the Dragon remasters for quite some time, but it seems like the official reveal of the Spyro the Dragon Treasure Trilogy is going to come very soon. 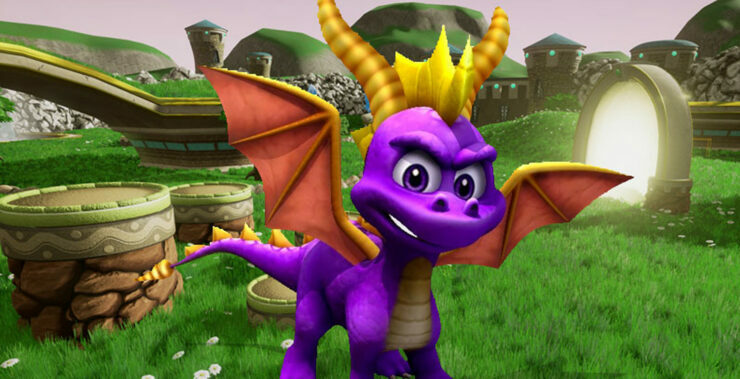 Reddit user B4DASS, who correctly leaked information regarding Call of Duty Black Ops IIII before its official announcement, revealed a few hours ago that Spyro the Dragon Treasure Trilogy is going to be revealed today, March 15th, at 1 PM PST. Adding fuel to the fire is a new t-shirt design featuring Spyro the Dragon which has been found by Twitter user Matthew McLaury. The t-shirt doesn’t feature any mention of the Skylanders series, where Spyro has appeared, and a 2018 copyright, meaning that it’s been likely made to promote the upcoming remasters. Earlier this month, more evidence has emerged regarding the Spyro the Dragon Treasure Trilogy, Crash Bandicoot dataminer BetaM discovered a Spyro demo code inside the game. Spyro the Dragon Treasure Trilogy has yet to be revealed officially so we don’t yet know about formats and final release date for all regions. We will keep you updated on the return of Spyro as soon as more come in on the matter, so stay tuned for all the latest news.